For any mutual fans of Conan O’Brien and WoW… this is pretty much a must watch. 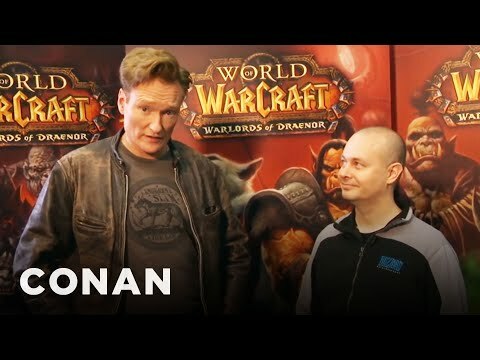 Conan goes to Blizzcon ’13, plays a little bit of WoW and brings his special brand of humor to cast the 3v3 tournament. Yes, I know I’m a little late with finding this video. So sue me. (Actually, don’t sue me). This entry was posted in From the Web and tagged 2013, 3v3, arena, blizzcon, blizzcon '13, conan, conan o'brien, tournament, warcraft, wow. Bookmark the permalink.